When I heard the news last year that American Aquarium was experiencing a mass exodus of all members except for singer-songwriter BJ Barham, I wondered what form Barham would continue on in. I knew that he'd continue. The songwriter in him showed no signs of quit, of having that hard-earned time out on the road be for nothing. I will admit that I was shocked to hear that the name American Aquarium would continue on with all new members. But, at the end of the day, Barham's earnest lyrics and dedicated-to-the-craft workmanship is what made American Aquarium truly work. So, it should be no surprise that the latest output from Barham and new mates is just as impressive as ever. Barham seems to find that muse of his when his back's against the wall. When he feels like he's been backed into a corner and the only way to get himself out is to fight like hell. It's what we saw with 2012's stellar Burn. Flicker. Die. And now we see it here on Things Change. I think that muse was burning from both ends of the same candle on this latest output as Barham saw not only the end of his band, but a change in the U.S. that was hard for many to grapple with. I'll get that political upheaval out of the way first because I think that may turn some folks off. It shouldn't. Barham writes from his personal worldview. You might disagree, but he isn't wrong either. When he sings of seeing the hate his grandfather fought against being alive and well, it's there. And, regardless of who won the election of 2016, it was still going to be there. So, before getting mad at yet another artist who should just "shut up and sing," just listen. Try understanding that there are folks out there that are worried- on both sides. We are scared of each other, but we can change that. Music is one of the things that can, and does, bring us together. 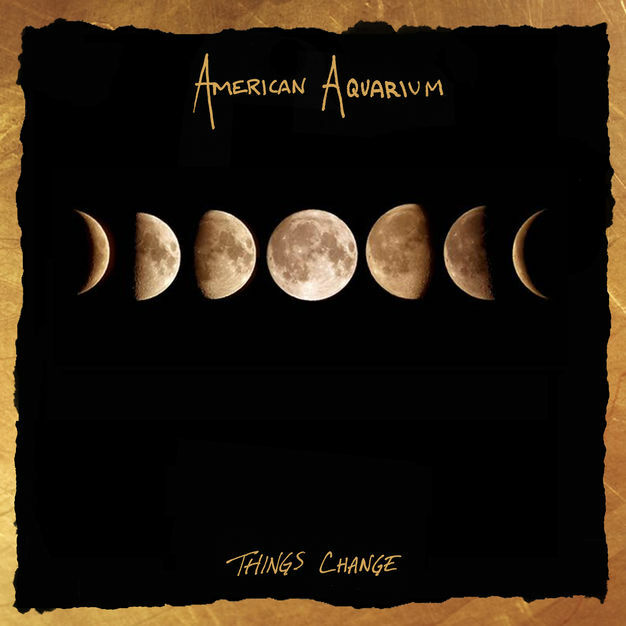 The music on this album is a synthesis of every single American Aquarium album up until now. There are hard-driving rockers ("Crooked+Straight"), acoustic self-reflective songs ("One Day At A Time"), and straight up country songs ("Work Conquers All"). While the band prior to this iteration was a pretty damn good band, this new band has absolutely crushed any expectations one could have had going into this album. Barham is the glue holding the band together, sure. But, the band takes his bare bones songs and kicks them up countless notches. 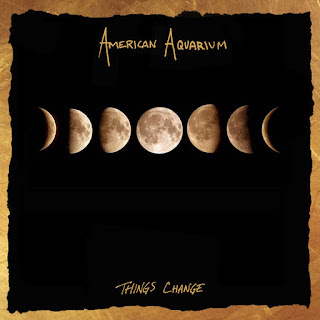 I don't think Barham could have chosen a better group of musicians for this new era of American Aquarium and I can't wait to hear where this band goes from here. So, give these songs a listen. Take time with them. Don't get turned off because he says something that might not be what you want to hear. Hear it from his point of view. Music is the great equalizer and as always, hope springs eternal. And don't forget to go see Barham and crew as they come to your town! Things Change is available everywhere you enjoy good music.